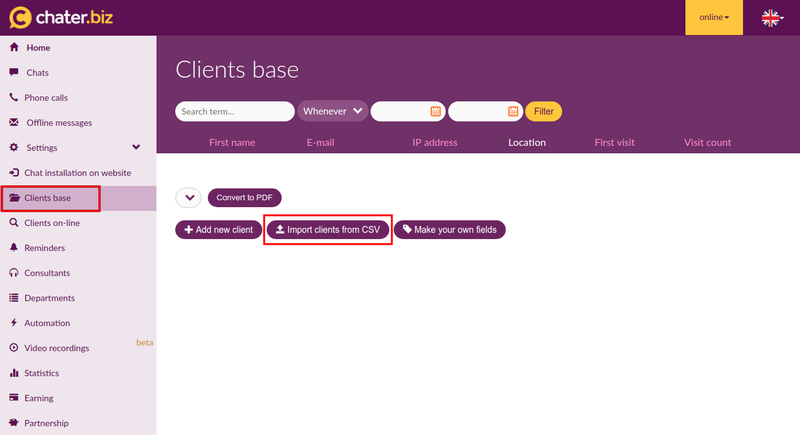 How to import own contacts into CRM? 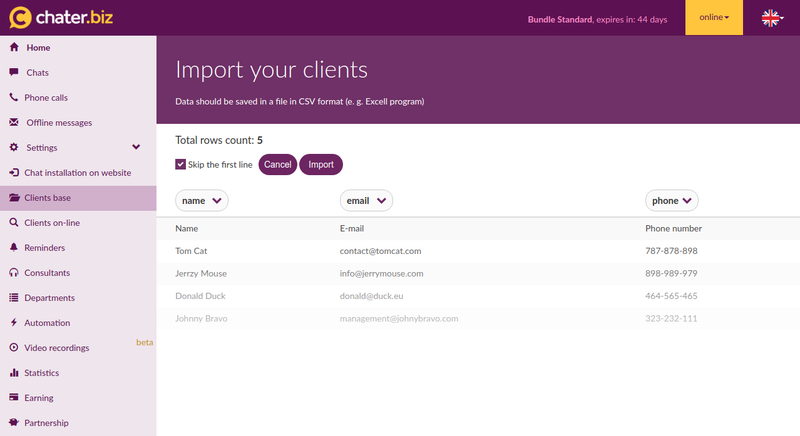 You can add your own contacts to the clients base. You can import them from a CSV file (this file can be created in MS Excel, for example). The next step is to set the labels to columns. You can also choose not to import the first row of columns. Click the Import button at the end.